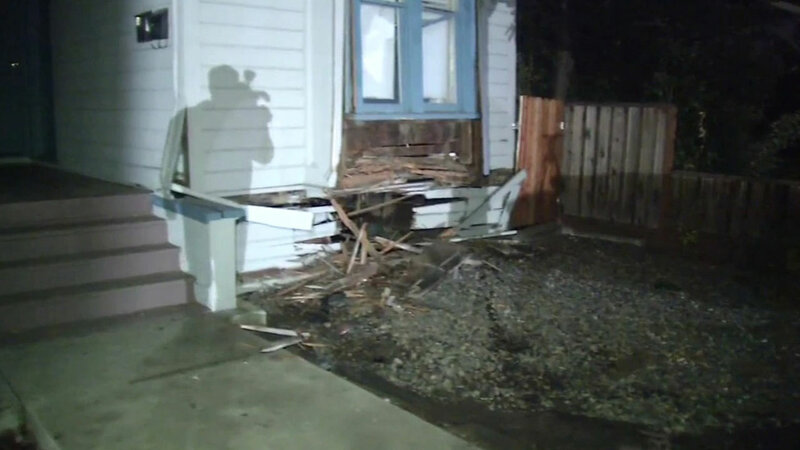 SAN JOSE (KGO) -- An SUV slammed into a home in San Jose early Monday morning after a chase, police said. This all started when a deputy happened to be driving behind someone who veered off into oncoming traffic. Police said that led to a short two block car chase before the driver crashed into the house on Park Avenue and Race Street. Police say the driver then got out of the car and ran. Deputies started to chase the driver, but decided to stay back when they smelled natural gas coming from the house. A few neighbors around the area were evacuated for precautionary reasons.